JS: Yuka, I bet you're a true rock fan! JS: You made programs with Santana, Jimi Hendrix, John Mayer, even Nick Drake this season! 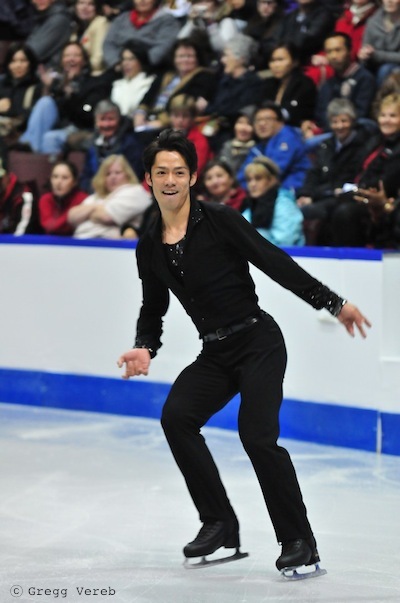 (for Takahiko KOZUKA), and in your recent program, you skated "1234" by Feist (choreographed by David Wilson). You hit our rock fans' heart so far! JS: So, let us know what's the next rock song on the ice? YS: …well, it hasn't been ready to play at this moment. It's ready when you are in good "timing" and "feeling". JS: Where have you found the music? JS: I guess you listen to radio, especially. NO: (Nobu was walking through again) "See you,"
YS: - you have no merry encounter, that radio arranges for us. And movie soundtracks I listen to as well. JS: Yuka, do you know Mazzy Star or Imogen Heap? YS: probably, I could remember if I listen to them. 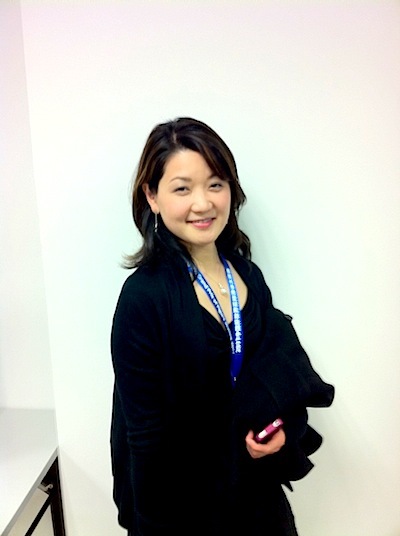 JS: Seasoned, deep, yet so cute female vocals to fit Yuka! Please remember them! JS: Tell us about your students, what do you expect of them this season? YS: As for Jeremy(ABBOTT), he had such a disappointing season last year… and today he had a hardly perfect performance, has a lot to work from now, but I think his mental aspects has a lot improved, since he had passed through the regrettable last season. "Every single detail could be of the result," I always tell him. Then they come out here, as a result(he won a gold), so he has gotten confident, to step to the next level. Although today's result didn't satisfy us at all, we should be happy with it for a moment. As for Haruka(IMAI), she's so young and promising. Results means a lot to her, too, however, now I have tried to help her to make her long way leading to her future, to have quality basic skills to expose her "value" in competitions, I hope so. 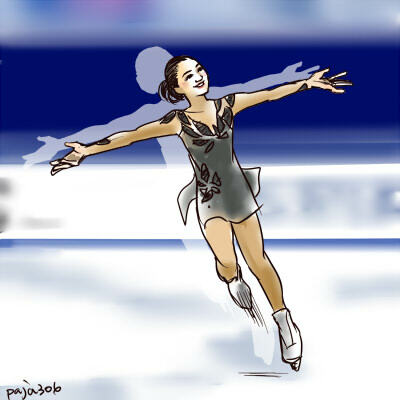 JS: I saw Yuka performing in the ice show this summer, that dazzled me, "what trainings made such a long lasting (age 38) performance?" Akiko was invited to "the room", to talk with Yutaka HIGUCHI(Yukina, Kento NAKAMURA/Yuki NISHINO's coach)樋口豊先生, Yukina OTA 太田由希奈さん, & NHK announcer Mr. Kariya 刈屋さん. 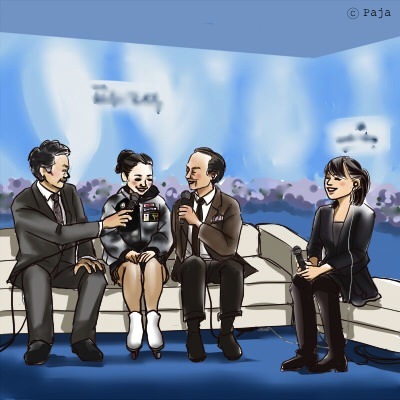 A live talk show "the room" is the opening treat of EX in every Sunday evening on NHK Trophy. 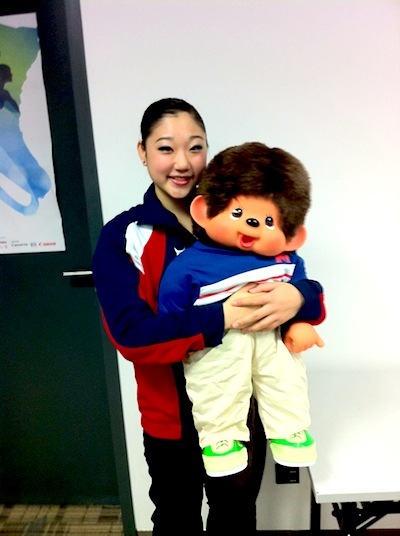 JS: Akiko, congratulations on your short program. Can you tell us how you felt about it, and your triple flip combination. AS: It was my first attempt at the triple flip in combination in my short program, and I found it was not so easy! JS: Are you completely healthy going into this competition? You were icing your foot earlier. JS: What can we expect from you in your free program? 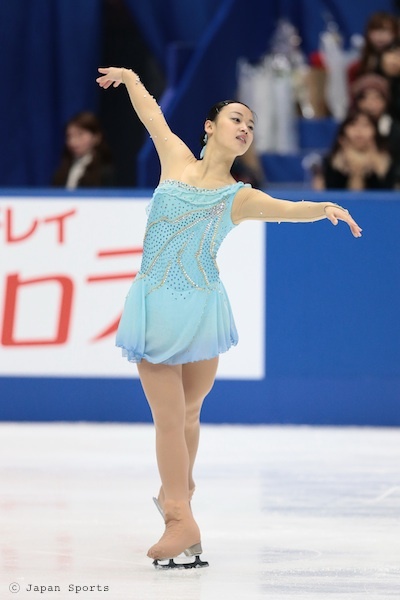 AS: Of course, all the elements are very important, but at the last step sequence, I would like togetherness with the audience; that's what I want. JS: You always have that! Thank you and good luck. JS: Akikoはいつもそうですよ！Thank you and good luck. JS: After an unsuccessful combination, how do you recover your energy for your footwork at the end? AS: Well, right after my mistake I really changed my mindset to the next one. JS: Do you have a preference to skate early or late in a flight? JS: You have some rare time off now to relax. Do you have any plans in Quebec City? AS: I want to have something tasty in Quebec. JS: Get a "beaver tail"! JS: It's not a real tail, it's a pastry. JS: How did you feel about your Short Program? RS: I made a couple mistakes, so my program was not so good, but you know for a first step, it's so far so good. JS: The judges scores seemed strong. How did you feel about the scores? 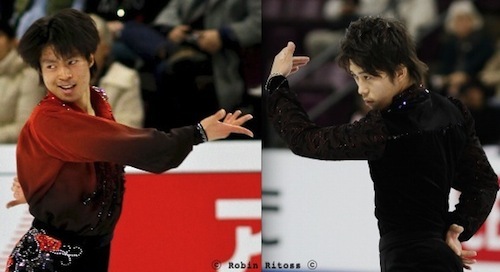 RS: I haven't seen them in detail yet, but they seem to indicate that I did skate a good short program. 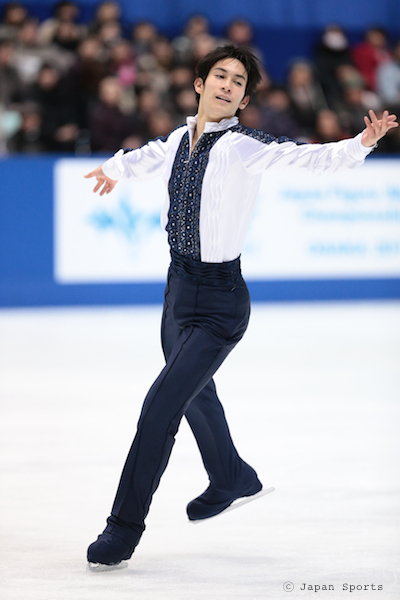 JS: What can we expect from you in the Free Skate tomorrow? RS: Today was a pretty good improvement, so I'd like to bring that to the competition tomorrow. I made a few mistakes today but I will not bring them into the free program, and I'm going to try my best. JS: Thanks. Have you been to Quebec before? 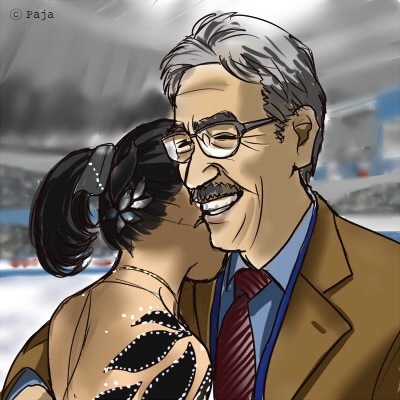 JS: Congratulations, Risa. Can you tell us your feelings about your program? 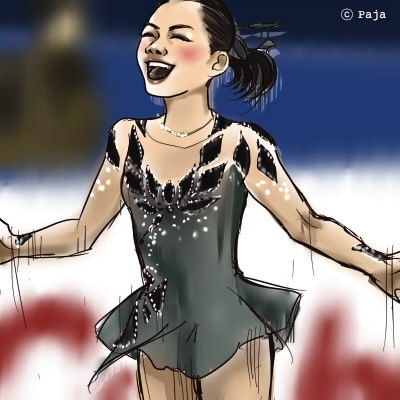 RS: Well, I was relaxed, but I'm not sure… I was not nervous, but I was not sure why I was a little bit shaky today, but I'm just relaxed now after the free program. JS: What are you going to work on between now and the All-Japan? RS: I would like to focus on what I couldn't make in the last couple of competitions, and I'm going to focus on those details before the Nationals. JS: Are you going to be in Senior in the Nationals? JS: Are there any goals for this season? For the World Juniors or any others? 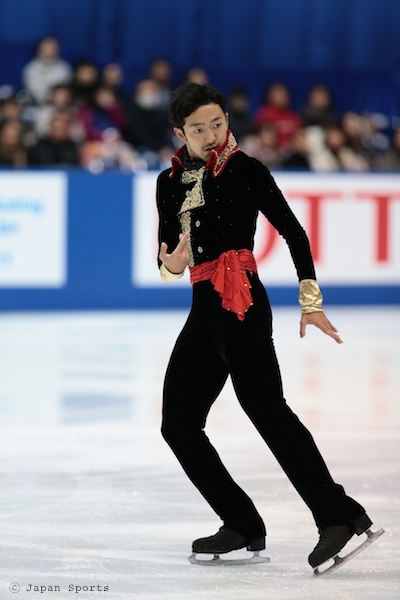 RS: I would like to make fewer mistakes, both in the short program and the free program and I would like to satisfy myself with my programs, and then I would like try it like I'm doing it in practice and maybe it will work! JS: Thank you Risa, nice meeting you.